Wil Reynolds doesn’t remember murdering two of his neighbors in the small North Dakota town of Betrug. He’ll need to think fast, because the sheriff just hired a ruthless vigilante to hunt him down in the chaos of the modern day oil boom. It’ll take a hitchhiker with a solid gold raccoon phallus around her neck, a delusional “man camp” crime boss and sightings of strange shadow people at night for Wil to unravel the murders and discover the disturbing truth at the heart of the oil boom. 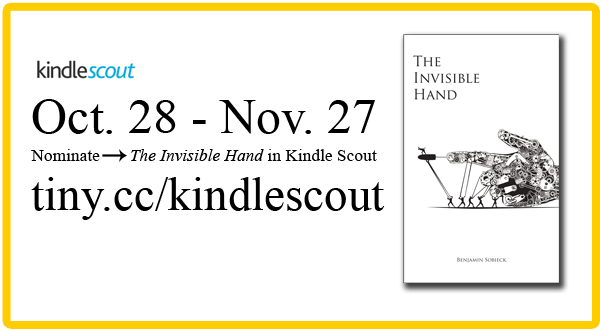 You can nominate The Invisible Hand by Benjamin Sobieck on Kindle Scout by clicking HERE. You can check out an excerpt. It’s the newest way to vote for your favorites on Amazon. 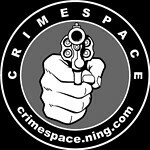 I urge you to check it out! 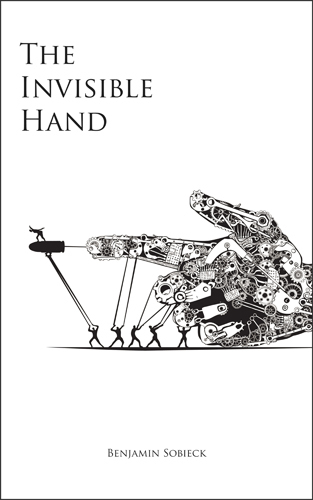 This entry was posted in Guest Post and tagged amazon, benjamin sobieck, blog hop, books, crime, crime fiction, fiction, guest, kindle, kindle scout, nominate, suspense, the invisible hand, vigilante, weapons, wil reynolds. Bookmark the permalink.